What Pre-Summit Course Should I Attend? 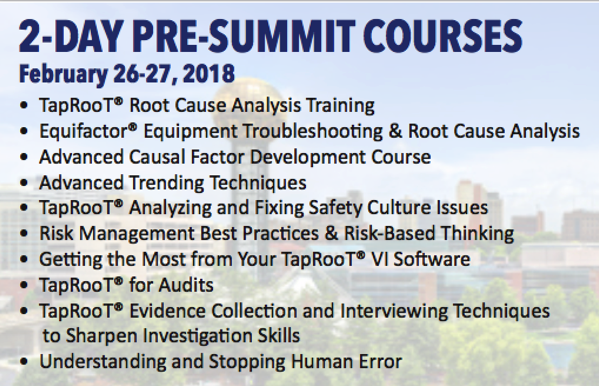 Attending the 2018 Global TapRooT® Summit and a Pre-Summit course is a great way to learn more AND get a discount of $200 off the course. And if you bring a team to the Summit, you can get discounts up to $600 off per person!